I craned my neck and ears through the receptionist's window to hear exactly what was going on. Whatever happened to one-way glass? Strumming an easy volley of chords, Reid was writing a song. What? Not in fits and starts. Not heavily prompted. No carrots dangling. You may wonder why this is news. Reid has a musician Facebook page, his own website and is about to release Purple Party, his first full-length CD of original songs. But this was different. Angela wasn't helping. She was watching...and recording it. She wasn't providing brilliant scaffolding, fill-in-the-blank prompts, or the chord structure. She didn't have the collaborative agenda that made Purple Party possible. Her heavily lifting wasn't happening. It had been done, make no mistake, in regular weekly doses over the past ten years during their music therapy sessions. She had worked diligently to create the space for this magical moment. That sounded effortless. What are your dreams for tonight? "What about Emma (the watchful intern)?" was Angela's only reply. But if you do...make it a good day. "What about Leah (the receptionist outside the closed session room door)?" Okay, maybe Angela was prompting a bit. Had all the Talk Time interviews about songwriting – with Steve Denyes and Babbie Mason and Angela herself – affirmed and anchored in him what she had been developing all these years? Perhaps. It was easy, like Sunday morning or Michael Buble in a lounge act. Reid has hired Joel Anderson to design Coloring Pages for each of the songs on his Purple Party CD. Free downloadable pages for kids and adults who like to color will illustrate the song lyrics that Reid and Angela have written for their first full-length recording. How else could we find a picture of Elmo eating cranberries in a firetruck for the Red Song by Reid? Or a magician with an Orange Piano and a door that automatically closes? Let alone a people at a Purple Party in polka dot shoes with penguins passing out presents. Somehow I think Joel can handle these better than any other illustrator. Joel and his mom Sandi are mentors to Reid and me on many levels. In terms of entrepreneurial skills, parenting, self-advocacy, prayer, micro-enterprise, you name it, they have gone before and paved a way. They are unrivaled in their ability to create, market, and distribute products and services that amplify Joel's unique voice in the world and help others. Joel gave Reid this caricature as a graduation gift. Don't you love it? These are just a sideline to his animation, book illustration, and painting. He is a renaissance man. Think global. Buy local. Buy neuro-diversity. 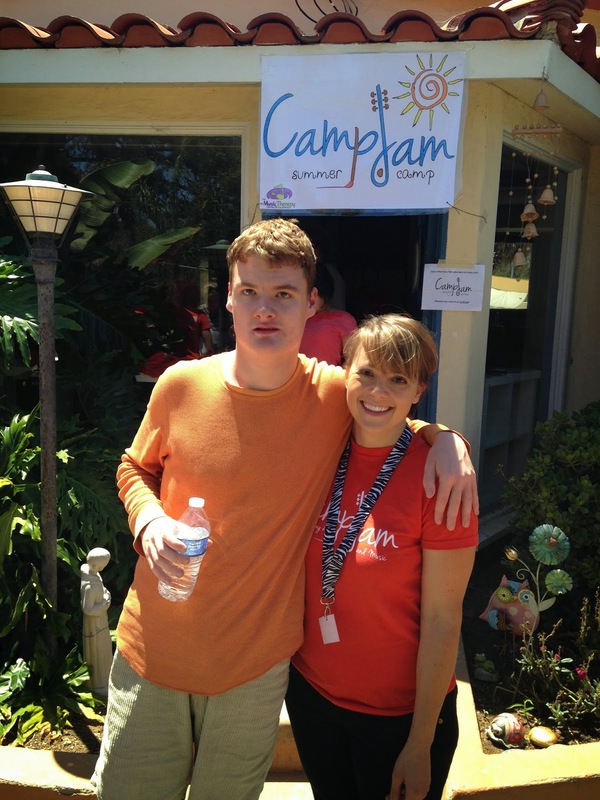 This post originally appeared on Autism Speaks Family Services blog. As soon as the elevator doors opened, we were 3 years old again! All of us—Mom, Dad, Reid, Allie and cousin Tucker—are over 18, but not too old to jockey for the line leader position. There was so much to take in: the mural of Big Bird on the wall, a bright oversized number “4” sculpture, a furry fuchsia service bell, and the high definition photograph of Grover with a flock of real preschoolers. 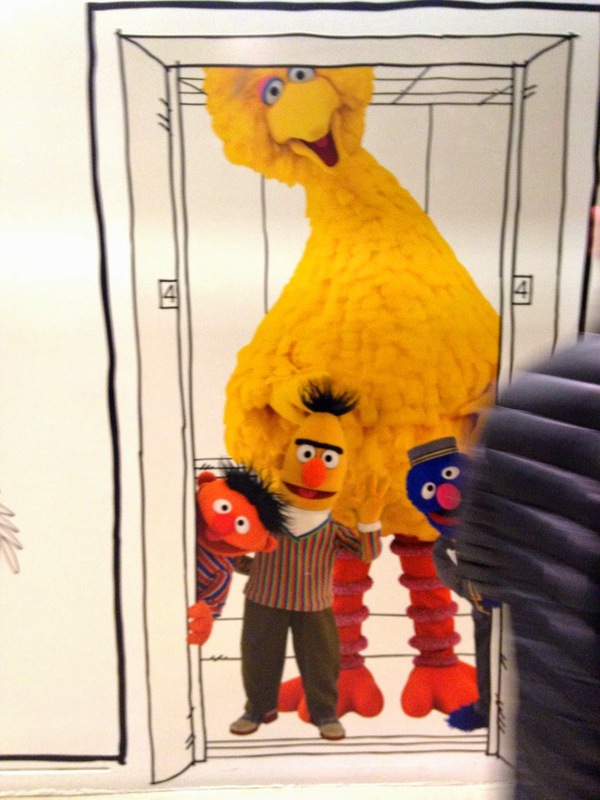 We maneuvered to take turns standing on Big Bird's footprints in the carpet of the Sesame Workshop lobby. Every time, it triggered a "Welcome" song from the familiar cast. Count, Rosita, Elmo, and Cookie all sang to us from gold-framed flat screens in a friendly montage on the wall. This was thrilling! 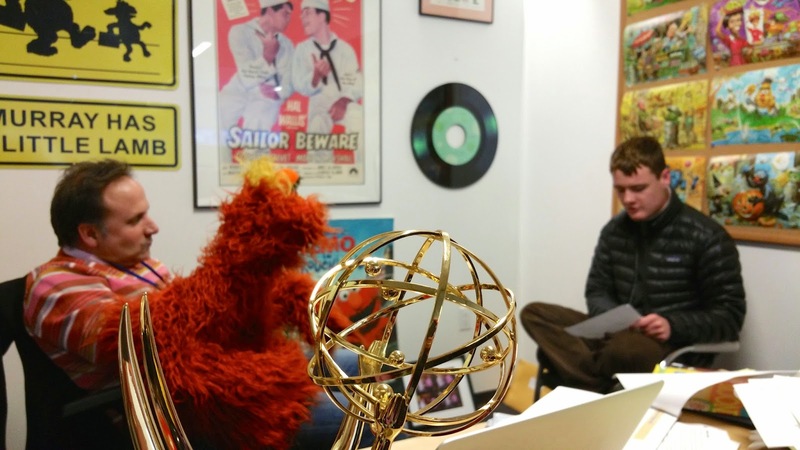 Reid, 20 and on the spectrum, had an appointment to interview Joey Mazzarino, Sesame Street’s head writer and puppeteer of Murray Monster, for his Talk Time with Reid Moriarty podcast. The two of them–or three, rather—hit it off instantly. The rest of us thoroughly enjoyed the show! And you can too by clicking here. Reid’s eyes were peeled as Murray came out of a duffel bag and Joey put him on his arm. This was a new eye contact challenge; Reid was unsure where to look or to whom he was listening. With nary a hiccup, Joey fielded Reid’s novel questions as spontaneously as they were delivered. It was easy to see how Joey had won the Emmy precariously balanced on his desk. A masterful voice talent with a fountain of fresh material spewing forth, he was equally adept at relating to Reid, without a minute of special training. If there were Emmy awards bestowed for kindness, transposing grammar on the fly, filling in voids of social nicety with grace, making erroneous comments meaningful, and explaining BIG concepts in simple terms, he would need more shelves to display them all. 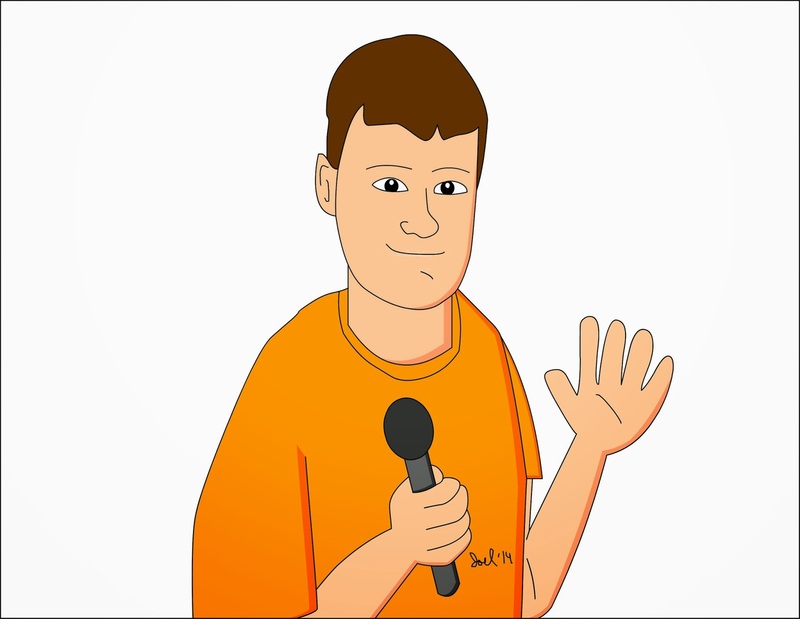 Talk Time with Reid Moriarty is a series of 5-7 minute podcasts with people Reid finds interesting, and you might too! An innate emcee, Reid’s talk-show-host style is direct, comedic and strikes a chord of human interest. What did we have to lose? Reid practiced with a few neighbors and the lifeguard at our pool then, we asked Mr. Greg Harris, CEO of the Rock and Roll Hall of Fame in Cleveland. His immediately willing reply to our cold call was a great encouragement to continue inviting prominent guests all with the filter of Reid’s motivation to meet them and some mutual interest, be it Mexican food or music. Stay tuned for more bi-weekly Talk Time interviews on Soundcloud, Stitcher and at ReidMoriarty.com. Resurrecting a recurrent feature today because sharing stories is a healing balm. Do you have a Christmas tradition that accomplishes sensory integration? 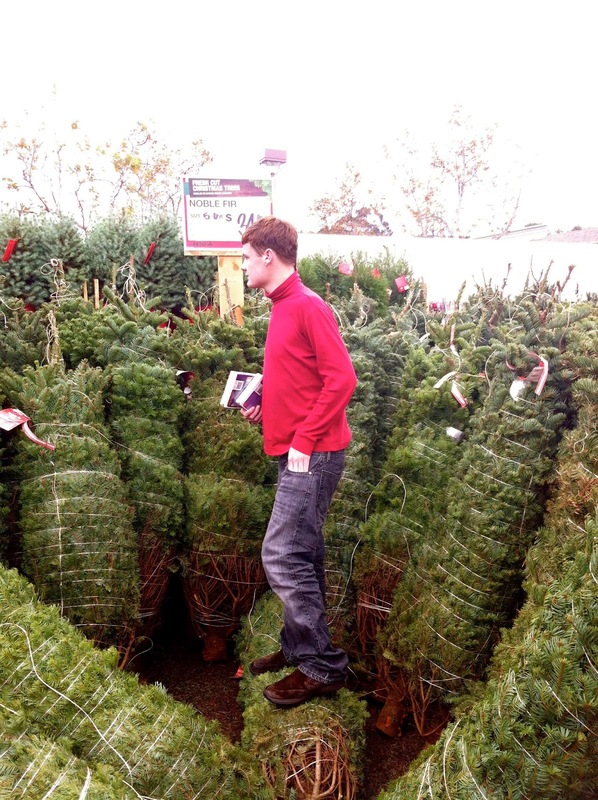 Every year we buck the Norman Rockwell tradition and pile into one of our Priuses bound for our nearest Home Depot to pick out the freshest, tallest, cheapest evergreen tree we can possibly find. Inevitably rubbing shoulders with a few friends in the serpentine line, it is a seasonal sensory treat, even if it's not as picturesque as winter in Chagrin Falls or New York City. Reid makes a beeline for the corner of the nearest corral, crouches down low and crawls into the crevice created beneath a pile of bound and bagged pines. That is sensory integration at its best; a squeeze machine and aromatherapy all rolled into one. He breathes frasier fir in sensurround. The needles surely prickle or scrape his face and hands; a little sap on the fingertips is free for the taking. The distinctive sounds of backing forklifts, buzzing chainsaws, and busy consumers ring in his ears until a familiar alarm goes off across the lot: "Reid, say 'here I am!" "I know you like to do that. Doesn't it smell so good?" 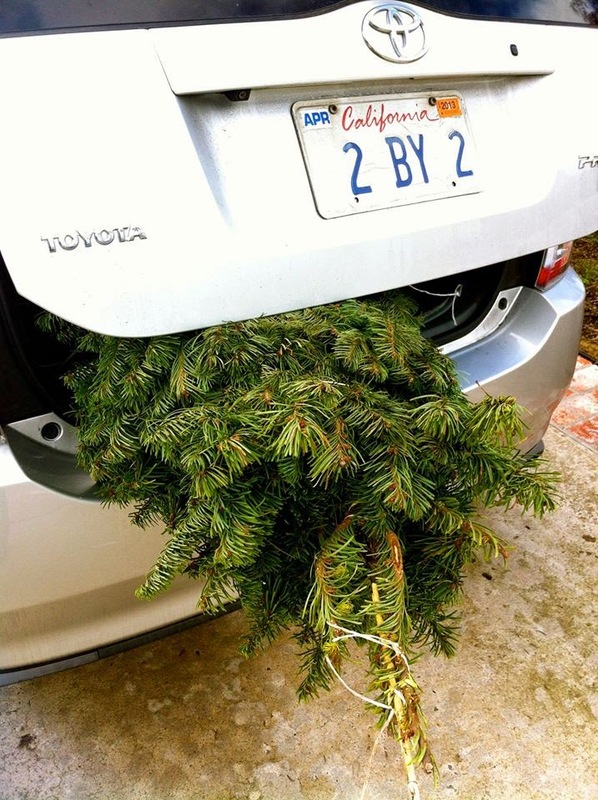 We load our tree into the hatchback along with armfuls of free boughs and breathe deeply the whole way home. All this--a rich, sensory diet--for way less than the going rate of an occupational therapist. I'll take it! Lord, guard my heart. Whatever happens, I want to see Reid through your eyes. Whatever they say or determine, doesn't change your plans for him. Guard my heart and his from the world's misperception and lies. I have learned from experience that these appointments, however routine, can leave me in despair. Not this time, I declared in Jesus name. We walked into the generic medical office chosen to provide an outside opinion of Reid's capacity, despite the paperwork and access to records I had already approved. It was one block from the Social Security office, in a neighborhood we don't frequent. Nicer than DMV, yet reminiscent in a way. Hellooo! Reid welcomed himself at the reception area appointed with framed prints of American veterans erecting flags. Candy?! Miss, may I have one of those--from that bowl? There were two candy bowls. He gestured to the bigger one by "the lady on the computer." Have you ever hurt your self? Do you see things others don't see? What disables you from working? Have you received treatment for this? The million dollar question on my mind was: Who writes these questionnaires? The process itself lacks dignity and reeks of ignorance and disregard. I wanted to rephrase every single one. A woman called, "Rade" to which we answered. 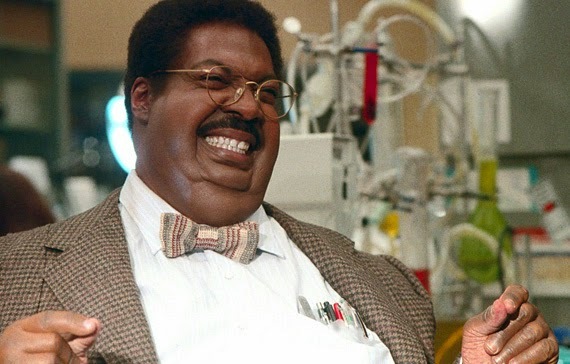 She took Reid's weight, height and photo, then we returned to watch another scene from The Nutty Professor. An underemployed female doctor lacking affect called us the second time. A very standard cognitive assessment ensued. I'm ready for the interview! Reid said taking the hot seat in front of her laminate desk. The blinds were closed. I sat on the side as directed. Yes. So far this was easy. When was he diagnosed with autism? What behavioral issues does he have? All those associated with the spectrum. Keep it simple. Didn't he have any intervention, ABA therapy? Maybe I was supposed to have listed those. Oh yes. We did all that; it was just 15 years ago. He had a full-on home program, ABA, PRT, Floortime, the works. Reid watched me, obviously wondering when it would be his turn. Seems like the interview is for me, doesn't it? It'll be your turn in a minute. When it was, she asked his name. Check. Address? Check. Birthday? June 4, isn't that right mom? I nodded. 19…. I helped when he got stuck. That's okay. She made notes. Well, let's see… He raised his fingers one at a time, in no particular rush. January is 1, February is 2, March is 3….. He restarted around May…which is 5...then finished strong. November is 11...December is 12. Twelve months! Wishing she got paid by the hour, she smirked and moved onto another section. What would you do if there was a fire in the building? Get low and go! Reid said without hesitation in all seriousness, recalling two loud fire drills at school in the past month. Our little-while doctor nearly chortled at the creative, appropo, and succinct response. She modeled a connect the dot numerical sequence. Reid completed his longer one in good time and handed her the paper. It doesn't make anything, he pointed out as if to say, what was the point of that? No, there's no picture, it took her a minute. More than once, he took the easy road handing things back to her saying, it's too hard. He seemed to have some opposite of test anxiety--maybe a new condition we could call "test familiarity." He mimicked her prompts in anticipation like they were the lyrics on our Top 40 radio station. She handed him the WAIS-IV blocks he's seen a million times. He literally said, let me get comfortable here and pulled his legs up under him criss-cross applesauce in the vinyl barrel chair. 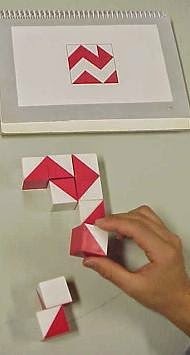 She flipped forward in the spiral for harder material, then back when Reid was stumped. Recognizing the drill, he called her out to save time, I need an easier one. Can he read? She addressed me now. Yes. She handed him a list of single words in a grid. Reid played to her expectations, beginning at a labored speed. When he got to "qua--ran-tine" at the bottom of the page I couldn't help but think again about getting him a cameo acting spot on Sesame Street. He shines at dramatic decoding, with or without Elmo. Okay, I'm going to ask you to write some words now. Oh, like a spelling test! She was more than cracking a smile now. Reid brings joy to the most deadpan of faces. We're all done then. I will submit my report. There should be no problem at all recommending him since he could not complete a 9-5 job 5 days a week. Well, thank you for your time. What else could I say? Reid, you aced that! (high five) The gifts God gave you can't be measured on a test. That way God gets all the glory, not us! I put my manila folders and sweater in the back seat. Mom, let's go! Yup, that was kinda boring but, at least you got to miss school. Let's go! Hey, that guy owes me money. Seriously though, what if you could interact with people who knew Moses--watched him grow up in Pharoah's court, knew of his speech impediment, were familiar with his big brother Aaron, saw him climb down the mount with the stone tablets, calmed him when his anger flared? To me, that is the magic of studying the Bible: meeting real people in real situations and reading what the Lord did in their lives. "Remembering His deeds" in their lives opens up the possibilities for what He is doing in mine. At different times in different studies, I have identified closely with the experiences of Esther, Jochebed, Hannah, Elizabeth, and Miriam. Their struggles aren't so different from mine; their God is the same powerful one I want to know. Rebuke is definitely a Bible word, right? We don't use it commonly; nor do we do it. By definition to rebuke is "to express sharp, stern disapproval of." It's neither advisable nor politically correct to rebuke one's kids, neighbors, or congressmen. Personally, I reserve my rebukes for the enemy. Even at that, I forget what an effective tool it is. It took me most of today--the morning after an unpleasant episode--to realize what was required. A difficulty + a disparaging word + my own discouraging voice = I'm down for the count (though I don't always know why). 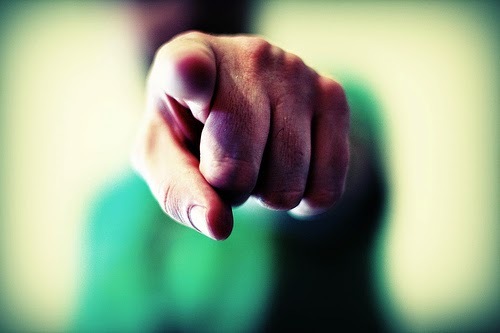 The disparaging word can be from someone in my inner circle or someone I barely know. That person may or may not intend to send me sailing in a sea of despair. On another day, their comment might not even register. But given the right circumstances, my thoughts start downward spiraling in agreement with their uninformed lies. The taunts being dangled in front of me this time had to do with Reid's future. How did I get the monkey off my back? 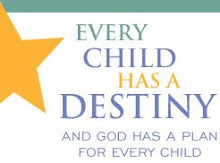 My refusal was curt: “Beat it, Satan!” Then I backed my rebuke with a quotation from Jeremiah 29: "This is God’s Word on the subject: For I know the plans I have for Reid,” declares the Lord, “plans to prosper him and not to harm him, plans to give him hope and a future."